Thinking of Putting Chat on Your Business Website? Website chat services have now become almost an expected part of any website you visit. You know, the little bubble that sits on the right lower corner of your browser, providing access to answers at any moment a question may arise. They’re ultra-convenient, and perhaps sometimes even a little aggressive, but they present a massive opportunity to service your prospects and current customers in a format many of today's website visitors prefer, and quite frankly, expect these days. Did you know that 33% of US consumers prefer to connect with a business through a messaging platform? (See even more interesting modern customer support stats right here.) It’s only natural that because of these types of stats, you might be evaluating your business messaging and chat options, considering questions like: What does it entail to get chat set up? Who will be responsible for monitoring it? And, are there any unidentified risks involved in this form of communication that we need to prepare ourselves for? To help guide you through this chat evaluation process, here are some things to consider prior to a chat implementation. •Convert more visitors to leads through easy access to a person. •Learn about the areas of your website where you are lacking information your prospects need to make a buying decision. Since we are almost exclusively a HubSpot agency, we are most familiar with the HubSpot platform. It provides a very easy-to-implement and user-friendly interface. The service also has the ability to set your chat over to a bot setting to handle many of those frequently asked questions your customer service or sales representatives hear most often. However, whatever provider you select should provide an implementation and training process so you understand how to utilize the tool most effectively for your specific business. Who Should Monitor and Respond to the Chat Inquiries? The answer to this question is unique to each business. For many businesses, designated member(s) of the customer support team are tasked with the job of responding to any chat inquiries. Other organizations leave this responsibility up to a select group of sales representatives. To help determine what department is best, evaluate your most frequently asked questions from your website visitors. Keep in mind, the person or group responsible for chat must have a clear understanding of how to respond to these inquiries as well as when it is best to take the chat conversation offline to better support a customer. They should also have exceptional grammatical skills as to ensure an exceptional customer experience. 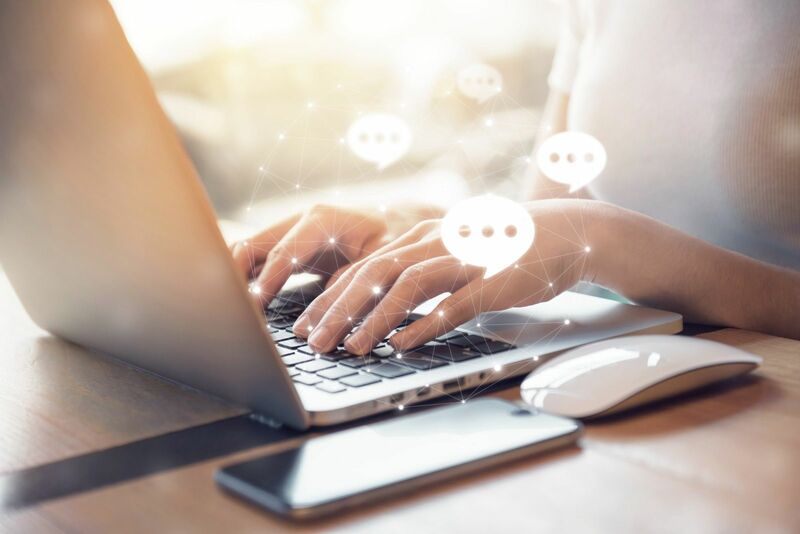 If you work in a highly regulated industry such as healthcare or the financial services industry, chat can pose some challenges regarding authenticating users prior to having any specific discussions. Privacy laws like HIPAA and regulations from the FDIC require very specific standards regarding when and how information can be shared. Often times, this requires these more regulated industries to establish very firm guidelines around chat conversations and what can/cannot be discussed. While not an impossible feat, it’s important to be in compliance with all legal requirements, as well as what your process is to ensure safety and security of your prospects and customers. 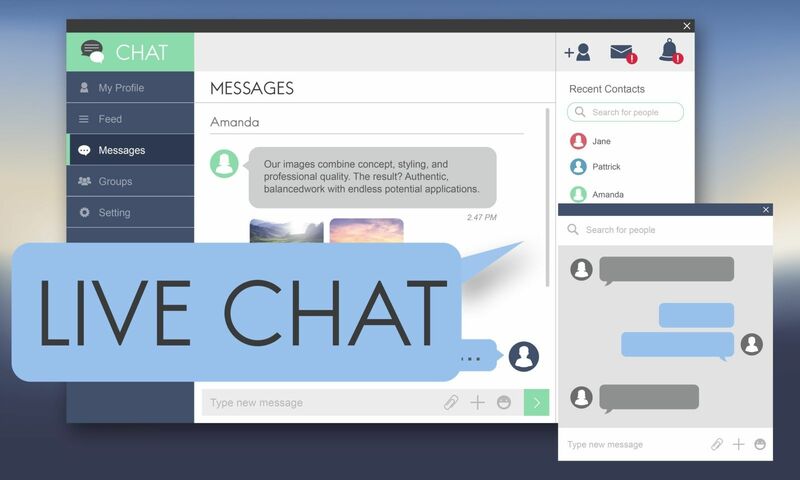 Interested in knowing more about how to implement chat services on your website? Contact us below and we'll show you more about how you can leverage the many chat functionalities within the new HubSpot Services Hub.